After a wildly popular and fully subscribed first series, the BTA is pleased to announce a repeat of the six-part Tourism Experiences Investment Lunch & Learn sessions that will begin Wednesday, July 16. These informative Lunch & Learns are geared to individuals with ideas for Bermuda tourism products and experiences that may need additional tips and added business advice to bring these ideas to fruition. Each session focuses on a new topic and is independent of all others. Individuals that missed any session in the first series can attend that session in the July installment. 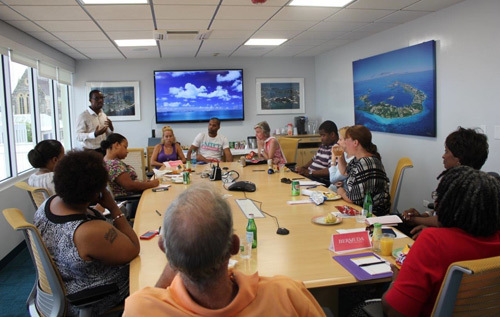 Persons interested in turning their tourism idea into an exciting new tourism experience are encouraged to sign up for the Bermuda Tourism Authority’s second round of Lunch and Learn sessions. Please note that spaces are limited and fill fast, so secure your spot today. For more information and to reserve a spot please contact Kyle James at 279-5588 or email kjames@bermudatourism.com. All sessions will be held at the Bermuda Tourism Authority offices located on the Penthouse Floor at 22 Church Street, Washington Mall, Hamilton.